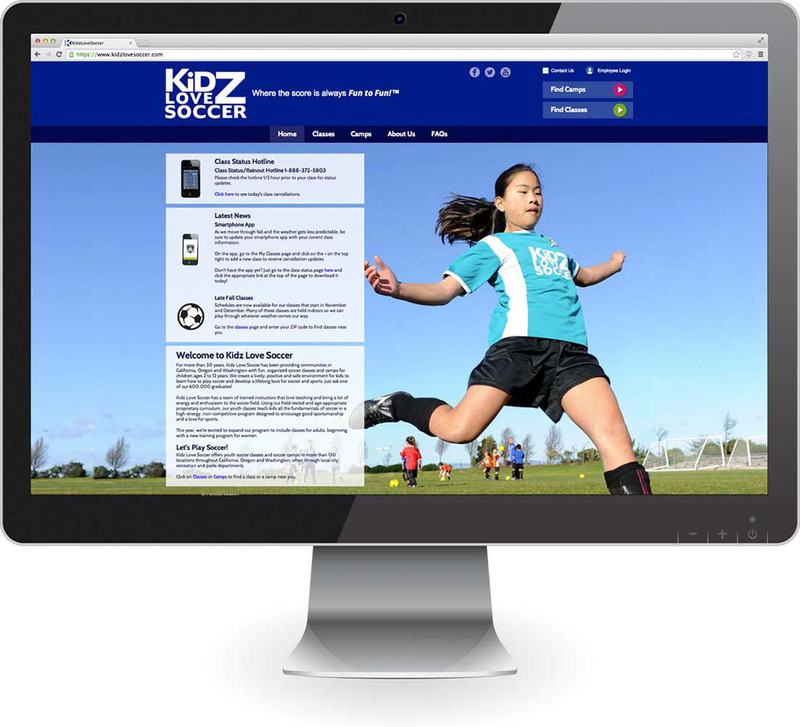 Kidz Love Soccer offers youth soccer classes and camps to more than 100 communities in California, Oregon, Texas and Washington, teaching more than 40,000 boys and girls each year. Donoughe Design initially created a new identity for the company as shown on the jersey below. We designed a bold, fun and colorful logotype coupled with a more traditional shield design. 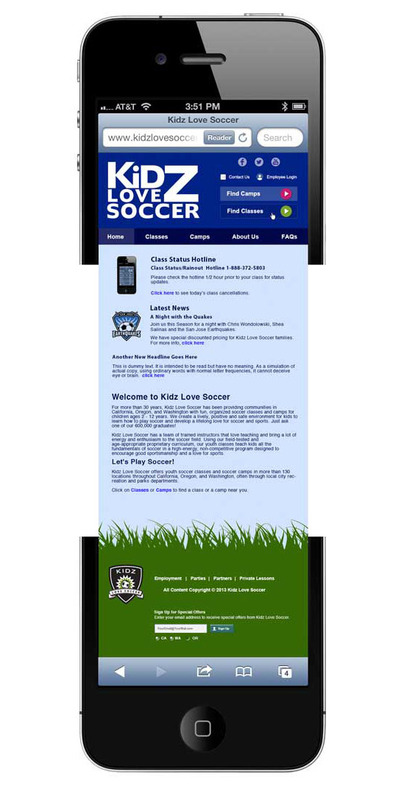 Most recently, we created a new responsive website to accomodate the growing number of mobile users. The site utilizes custom photography and new visual language. Donoughe Design has worked on a wide variety of print, identity and website projects for KLS. 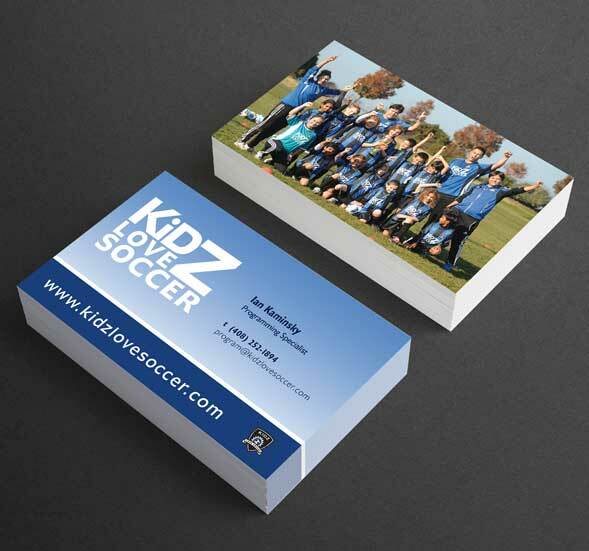 Malcolm Guthrie Managing Partner, Kidz Love Soccer We initially hired Donoughe Design to create a corporate identity package for us. Their work was so impressive and fit so well with our company’s mission we asked them to extend that work to our literature system, signage, and to our website. In addition, we have relied on Donoughe Design to provide art direction and to coordinate multiple photo-shoots creating high-level content. Over a period of five years they have created a complete visual communications system that has elevated the level of professionalism perceived not only by our clients but our competitors as well. Their talent, coupled with creative problem solving and great listening skills, makes Donoughe Design a great find and an easy recommendation.